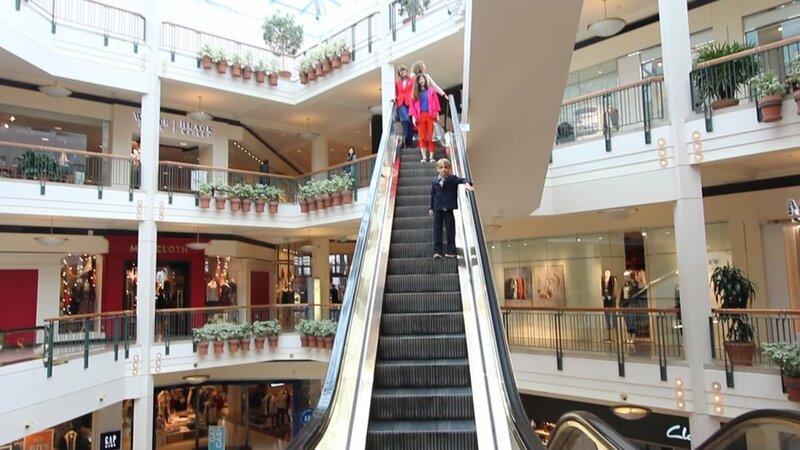 In Portland, we’ve got gold escalators too. We rode them up and down, mocking Trump’s infamous ride to launch his campaign. We were in it for the optics when Hillary most needed some visible support. 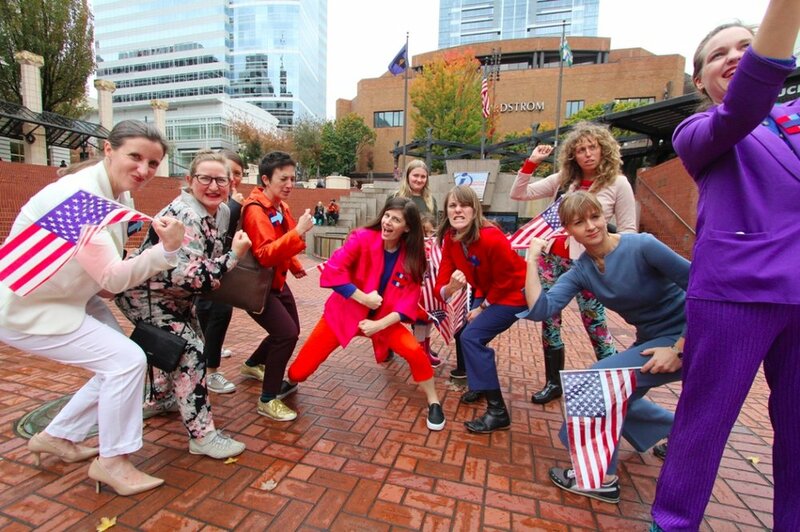 We pant suited up and hit Portland's Pioneer Square Mall on October 15th, 2016. 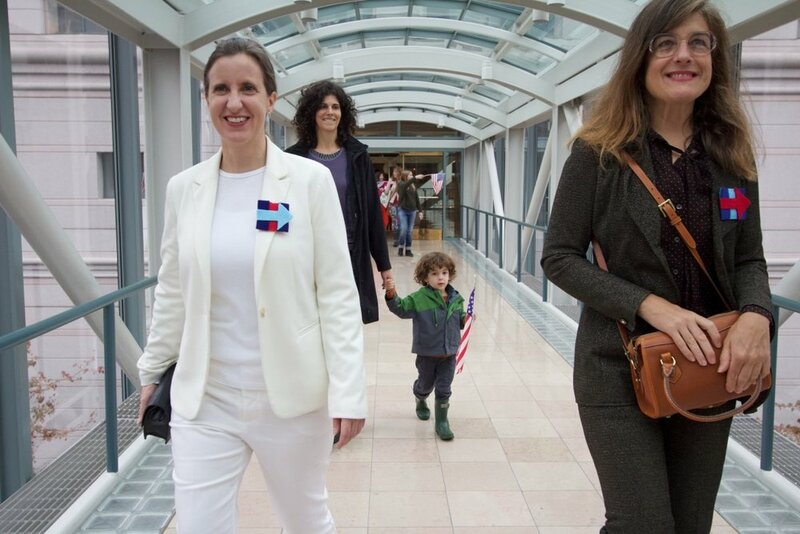 There were women in pantsuits, men in pantsuits, and children in pantsuits—all power walking to show their support for Hillary! 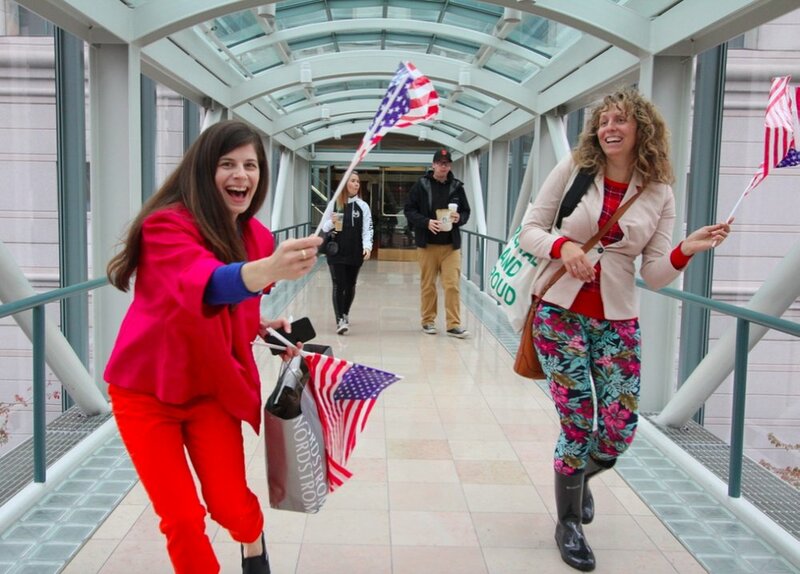 We pumped our arms faster than our legs, rode escalators, waived at everyone we saw, and even broke into an impromptu shoulder shimmy limbo contest under a flag banner in Pioneer Square to make our support visible. 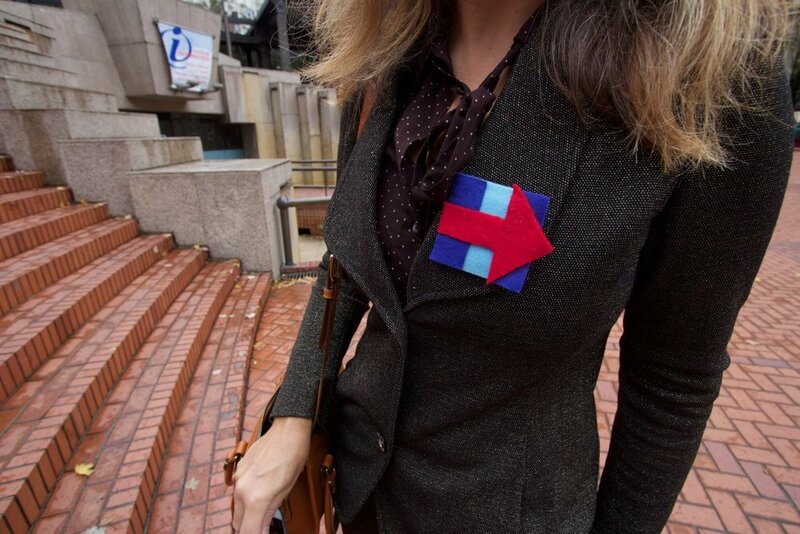 Our fine city did its part for Hillary and we’re still with her.